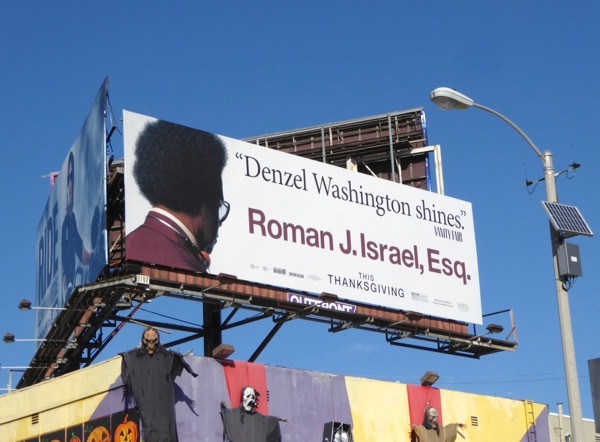 This Thanksgiving Denzel Washington is back on the big screen as an idiosyncratic savant lawyer, Roman J. Israel, Esq., who has to come out from behind his desk expertly writing briefs at a small L.A. legal firm when his partner has a heart attack and is forced to use his less than sharp legal skills in a courtroom environment. 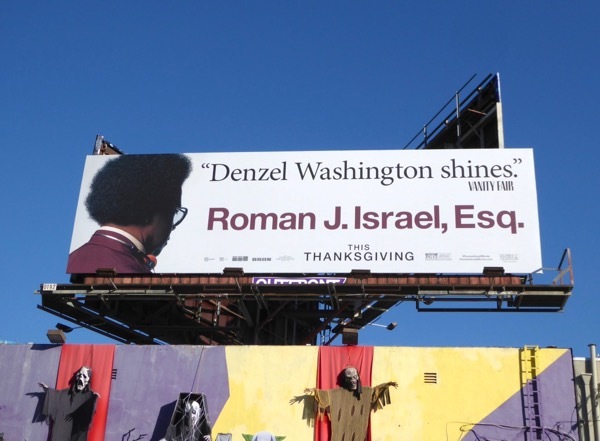 In this fish-out-of-water tale the idealistic defense attorney has to reassess his life when he's recruited by Colin Farrell's cutthroat law firm and a series of tumultuous events lead to dramatic consequences. 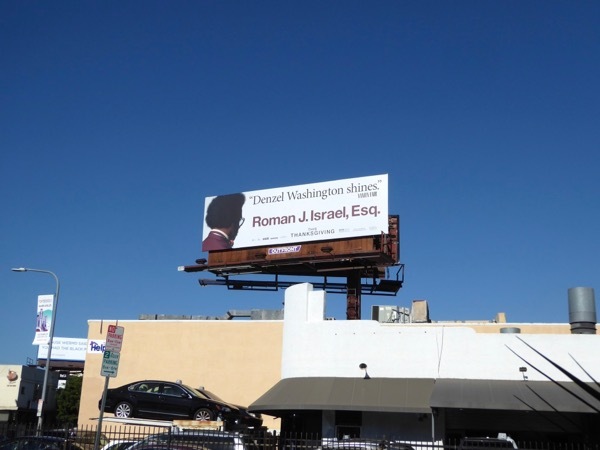 These movie billboards were spotted along San Vicente Boulevard at the Sunset Strip and above Westwood Boulevard on November 3, 2017. 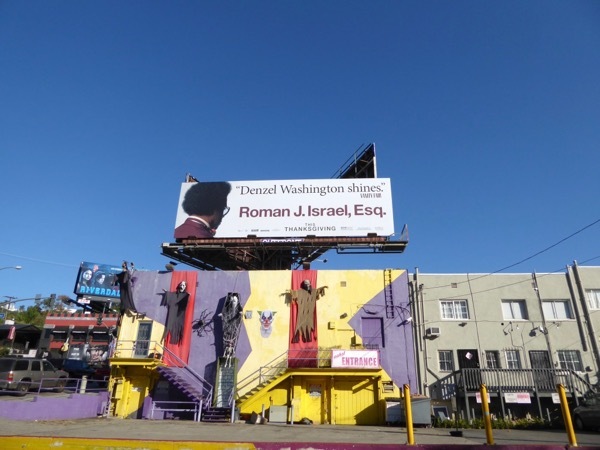 Fans of Denzel Washington can also enjoy these Flight movie billboards, these Fences movie billboards and these billboards for The Magnificent Seven movie remake. 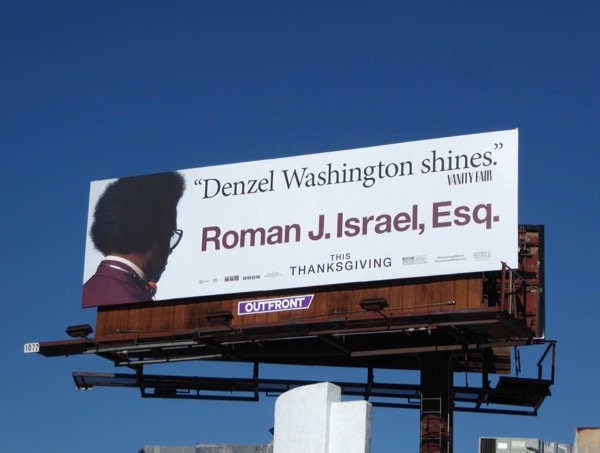 Let's see if Dan Gilroy's legal drama can plead the case for another Oscar nomination, or win, for Denzel Washington this awards season.